I have to comment this time...I'm one of the silent reader on your blog. 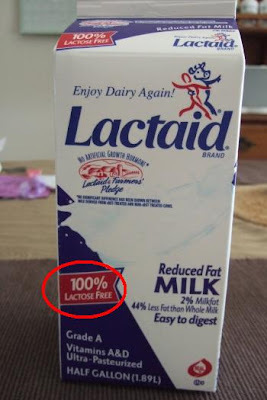 I'm now lactose intolerent, but my parents and siblings are not. They are all still in M'sia/Spore. It's just me in the family is lactose intolerance. I wonder is it the food we consume in the US is changing our digestive system? You know what, I first noticed the rumblings and the gas when I first took full cream fresh milk. I had been taking powdered milk before that and my tummy was not bothered. I did not know back then that the gas was due to the milk! Years later, I was introduced to yogurt and that caused lots of gas too .. so embarrassing because the rumblings in the tummy were so loud! I still did not know anything about lactose intolerant back then!! Haha. And then I moved to the US. It was my mother-in-law who told me that she was lactose intolerant .... a light bulb came on in my mind! Sooooo that was the problem with the rumblings and gas! So I guess, for us living here in the US, the introduction of fresh milk and lots of dairy products in our diet affect our system. Our ability to digest certain foods does change with time. For our family back in M'sia, their food does not contain all that much dairy products and the milk they drink is usually the powdered stuff. I'll bet they'll have problems digesting lactose if they came to live here and eat our kind of food too! 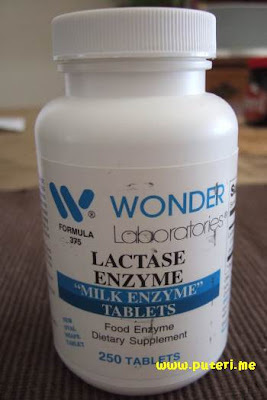 Thank goodness for products like Lactase Enzyme!